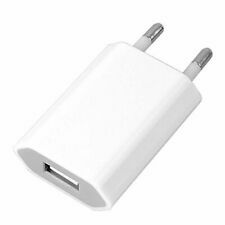 USB Adapter Travel Wall AC 3 USB Charger EU US Plug for Phones iPhone iPod CE. Features a detachable wall prong adapter for easy storage and travel compatibility. Small and lightweight, it can go with you wherever you go. 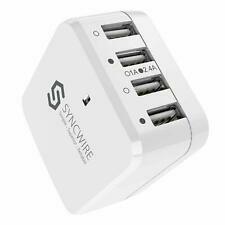 Six (6) USB power receptacles with simultaneous charging of up to 4 devices. Use PowerPort 4 Lite with Anker's MultiProtect technology combines surge protection, short circuit prevention and other advanced safety features to keep you and your devices safe. Advanced Safety Features: Exclusive MultiProtect safety system provides total protection for you and your devices. Plug Type: EU Plug. 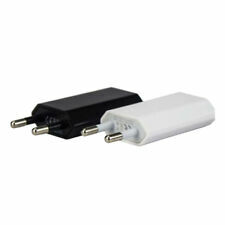 Compatible with most USB powered device, cellphone smartphone, MP3, MP4, Tablet PC, Etc. Input: AC 100-240V, 50-60Hz, 0.35A. Small size, easy to carry. Color: White. Otherwise, we will reserve the right to relist the item and the unpaid item report will be made correspondingly. 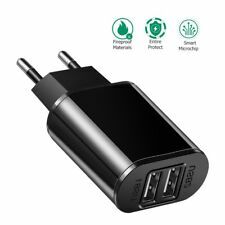 Multiple plugs for UK, EU and US sockets. Output: 3.4 A shared. 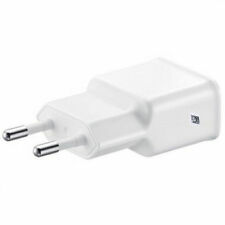 3.4 A output ideal for charging tablets. Compatible with most of the USB enable devices. Plug: EU plug. High efficiency and low energy consumption, protective circuit to prevent overcharging. Cable Length: Approx. Power: 25W. Item Color: White. Plug type: EU plug. Note: USB charging cables required and not included. 4 port, 2.1A for Ipad, 1.0A for Android, 1.0A others, 1.0A others. Color: White. Material: Plastic. Input: AC 100 - 240V 50-60Hz, 0.5A. 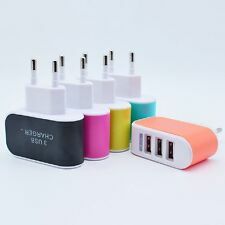 European USB Plug Power Adapter Euro Europe EU 2 pin Wall Travel Charger 1A.